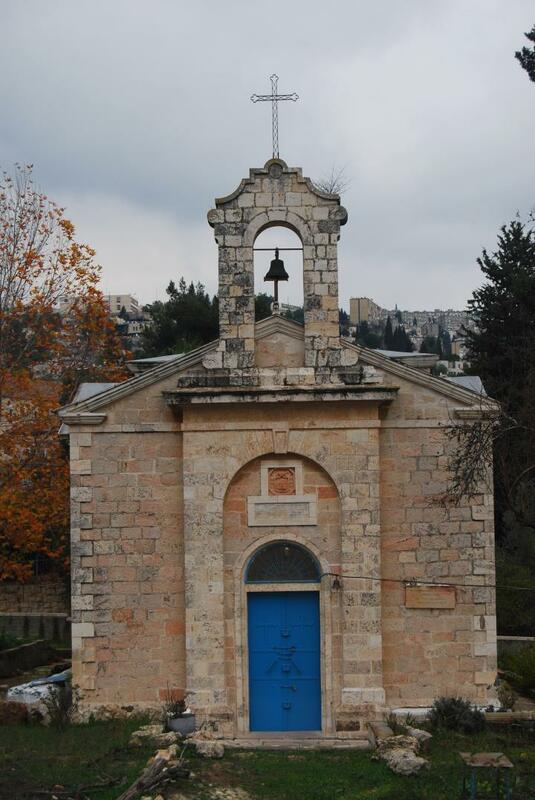 A Greek Orthodox church in Ein Kerem, built in 1894 to service the local community. 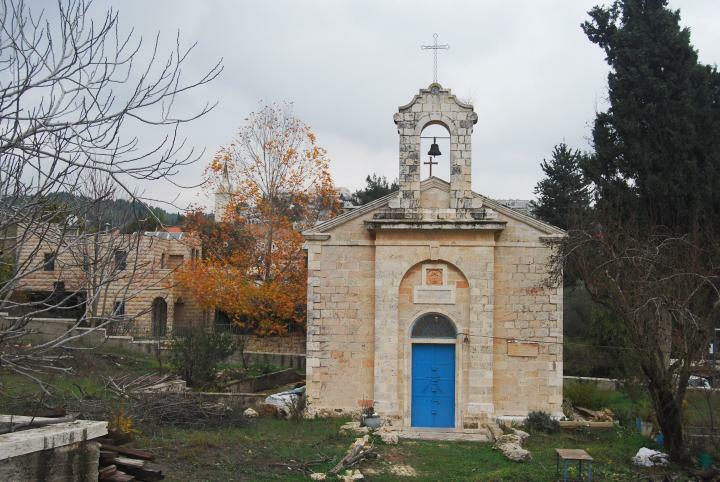 The Greek-Orthodox convent of St John the Baptist is located on the foothills of the western hill of Ein Kerem. It served the Greek-Orthodox community in Ein Kerem. The ancient church (1894) was restored in 1975. 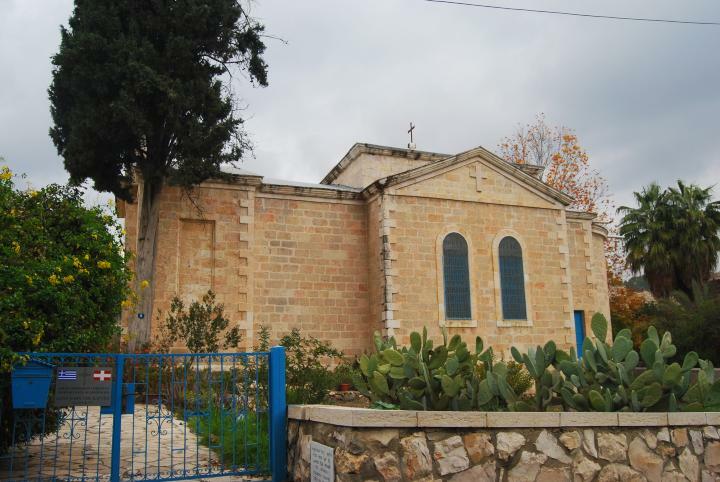 The church is located on the west hill of Ein Kerem. Pointing and clicking on selected points in purple will automatically scroll to the relevant photo or site. The Greek-Orthodox church originated from the early Christian churches. 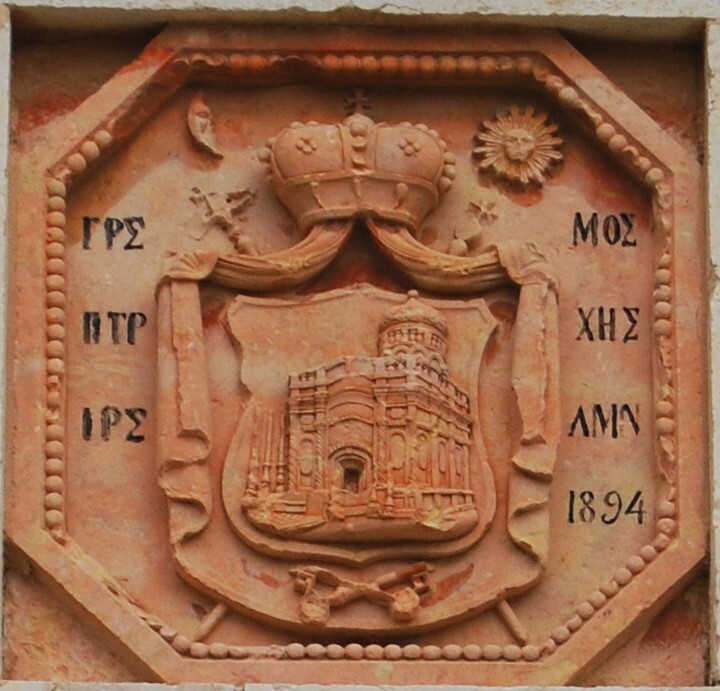 They are the oldest Christian orders in the Holy Land, and view themselve as the descendent of the Byzantine-Christians who ruled the land before the Arab conquest. In 1054 the church split from the Roman Catholic church (known as the "Great Schism" event) due to theological and political conflicts and a dispute on the supremacy of Rome over all other churches. The Greek-Orthodox church has four autonomous centers, with the Patriarchate of Jerusalem being the center of the church in the Holy Land. 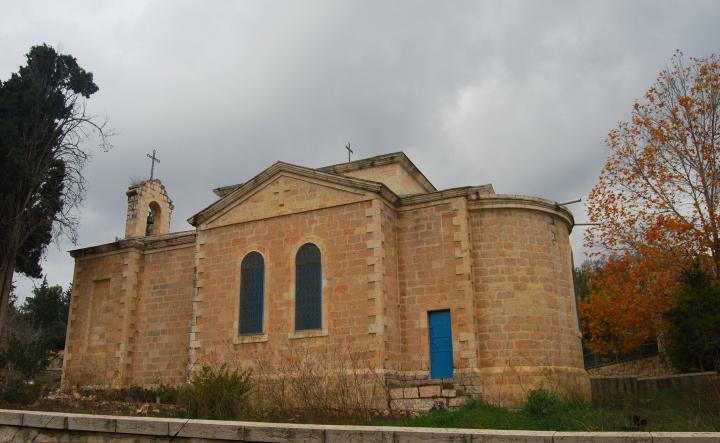 It is the largest church in Israel, with about 33% of the population - while the other churches are roughly 25% Greek-Catholics (Melkite) , 18% Latin-Catholics, 4% Maronite and 20% other Christians. The church in Ein Kerem was built to serve the local Greek-Orthodox community in Ein-Kerem. It was constructed in 1894, on ruins of earlier levels. The church was restored in 1975. The photo below shows a view from the road on the south side of the church. A view of the church is seen from the north-west. A view of the church from the south side. The entrance is located on the west side. 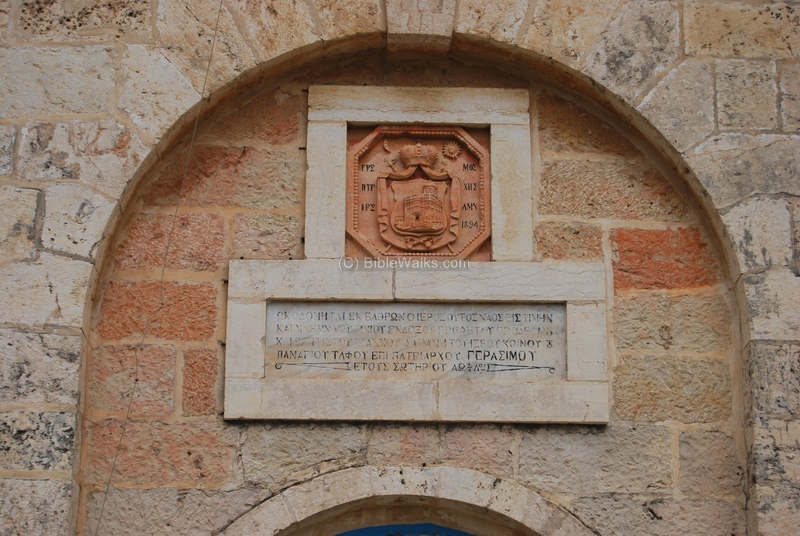 On top of the entrance to the church is a seal with the date of the construction - 1894. Kerem - Hebrew: vineyard. As in 1 Kings 23 1: ""And it came to pass after these things, that Naboth the Jezreelite had a vineyard". Ein, Ma'ayan - Hebrew: spring. Based on "Ma'im" - water. There are dozens of references in the Bible, since water was a major factor in this dry land. 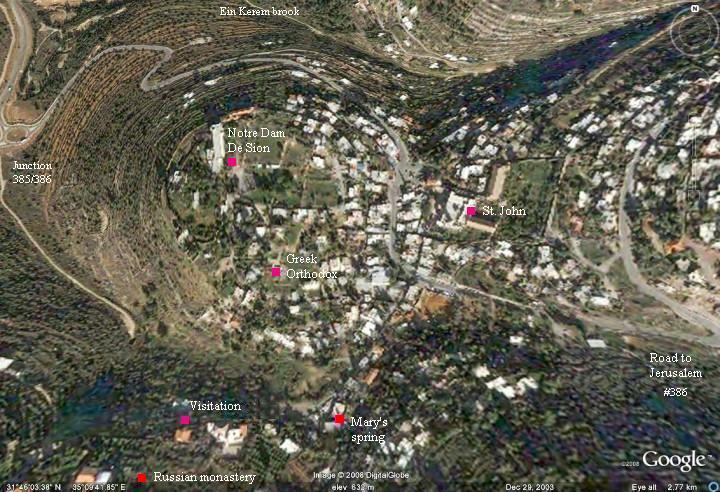 Ein Kerem (Karem) - the spring of the vineyard. BetHaccerem - Hebrew: The house of the vineyard. Beth - house. John - the Baptist. from Hebrew, "Yochanan", which means: Yo (God) + Chanan (Pardoned). Thus the name in Hebrew means " God has pardoned". Biblical Reference: Mark 1 4,5: "John did baptize in the wilderness...in the river of Jordan".